It's not always easy to finish your design studies and then start to concentrate fully on your own production, transferring the enthusiasm and energy of your college days to the world of work. The London designer collective, however, has shown us how it's done. After completing their studies at the Royal College of Art, where the nine designers from all over the world got to know each other, they founded their shared workspace, the Okay Studio, in which they all create their own separate work under a shared roof. 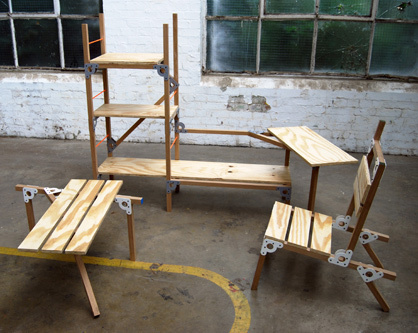 The Aram Gallery, well known for its innovative exhibitions and installations, offered the group space during the London Design Festival for their first independent exhibitions as a collective. The work on show there had never been exhibited before and was all produced over the past year. 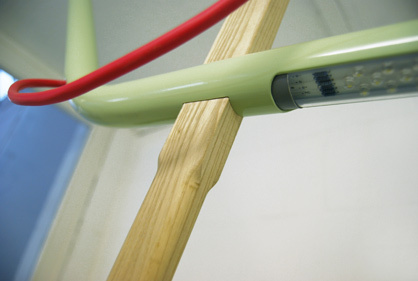 What is most impressive is the range of different design methods employed by the individual designers. 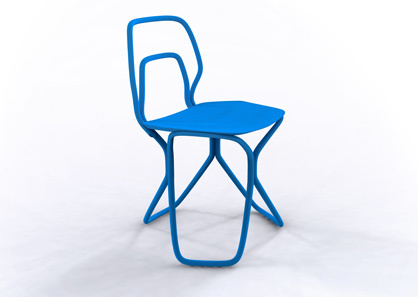 'No 7 (nube) chair' by Tomas Alonso is a re-interpretation of the classical bentwood chair. 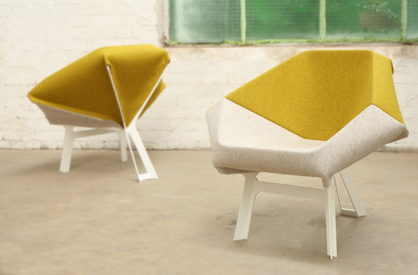 The designer has retained the traditional craftsmanship of its predecessors, but has given it a contemporary look. The 'Mr. 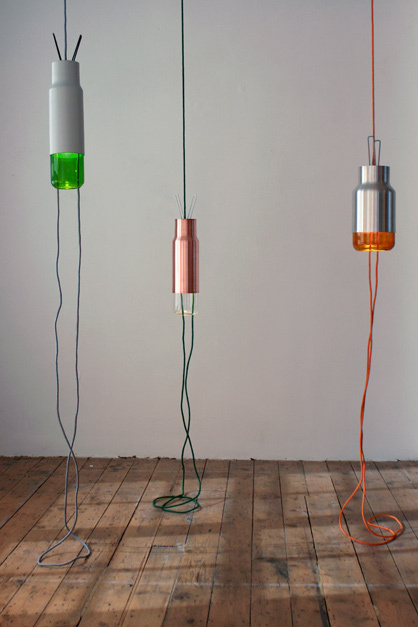 light series' is a series of elegant standard lamps and hanging lamps whose delicacy highlights the effectiveness of the relatively tiny LEDs. 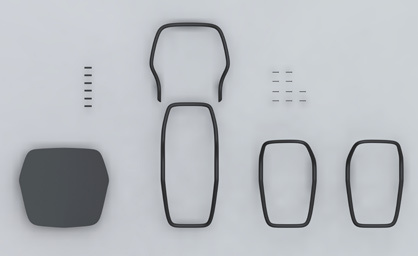 The transparent design and detail such as the brightly coloured tables and daring use of proportions give these objects a figurative character which corresponds to their name. 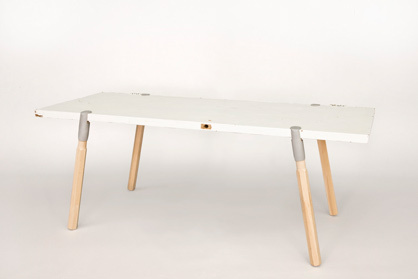 Jorre van Ast presented a series of tables with frames which have a very user-friendly design. 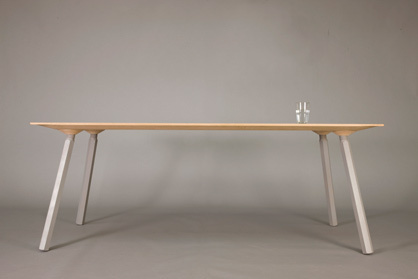 For example the legs and the tabletop are, as the 'Hexago Legs Chair' shows, fitted with a thread and are simply screwed into each other. 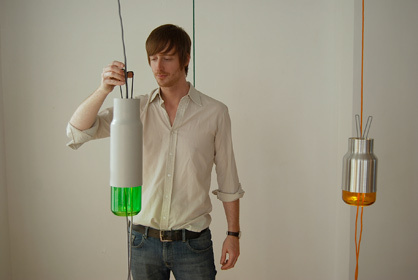 In 'Lantern' the German designer Mathias Hahn has created a formally convincing hybrid of standard lamp and hanging lamp. 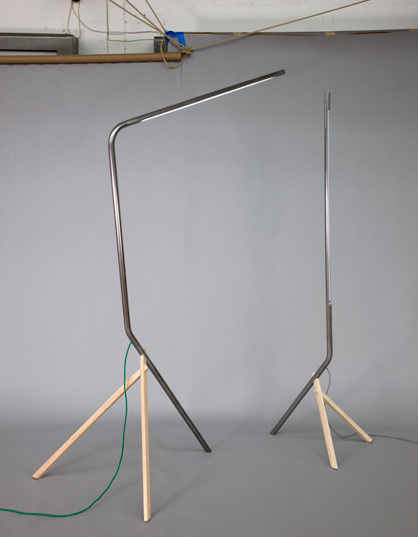 Here it is above all the love of detail which makes this height adjustable lamp such an eye catcher. 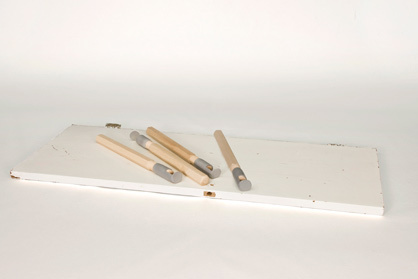 'Raw-Edges' is the name of the studio around Yael Mer and Shay Alkalay, who has already attracted international attention with his 'Stack' drawer system for Established & Sons. Yael Mer concentrates in particular on the transformation of two-dimensional surfaces and three-dimensional bodies and furniture sculptures. 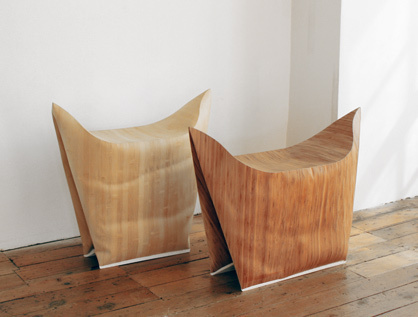 In the Aram Gallery the two presented among other objects the armchair series 'Cavities' and the 'Tailored Wood' stool. 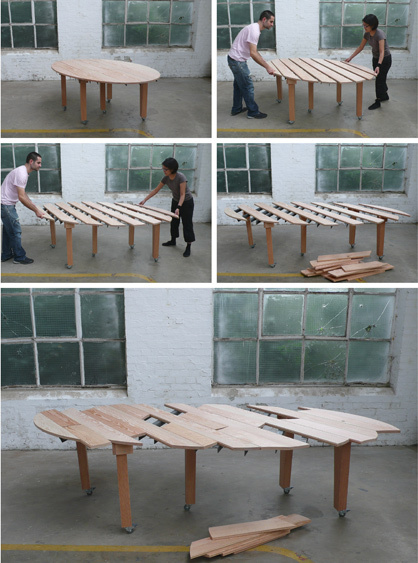 The latter in particular attracts attention because of its experimental production form. 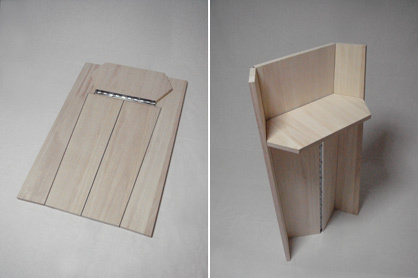 The bamboo veneer is cut to a specific pattern and bound at the edges. The "robe" is filled with polyurethane foam, which gives it a form corresponding to the pattern. Compliments are due to the initiators of this remarkable exhibition, the designers and the Aram Store as a major promoter of young international designs.